It’s that time of the year when you see ‘Top 10’ or ‘Top 100’ lists everywhere. I usually like these lists. I know. I know. I don’t sound like someone who likes listicles – but hey, I am a content manager, after all. How can I not love lists? It’s incredible, though, that this year is really going to come to an end, whether we like it or not. Time has somehow rushed past us. If you thought you had no time, then this year has shown that there is no time. If you thought you had lots of time, then this year has shown that you were wrong. I had wanted to read about 1,000 books by the time I turn 40 next year. That is a bit of a misleading goal. I KNOW that I have read more than 1,000 books by now, but sites like Goodreads came around long after I must have read more than 500 books. So, I would love to see if I can record a 1,000 books on Goodreads by June next year. I have another 75 or so to go. Achievable? Who knows? But it will be fun getting there! What an utterly melancholic title! Goethe’s classic written in 1774 rose from relative obscurity to becoming one of the most-read classics of this century. A tale of doomed, unrequited love, Werther has become something of a cult icon in German literature. What do I feel about his sorrows? Ah, we have all felt the pain of loving without being loved. But Werther was loved. The woman he loved showed all the depth of her love, but perhaps not in the way that Werther wanted. They could not be together. Written in an epistolary format, you are taken into the heart of Werther’s anguish as his increasingly feverish mind reaches its doomed conclusion. I found it difficult to concentrate at times – but this is a short book – and well worth the investment of your time. 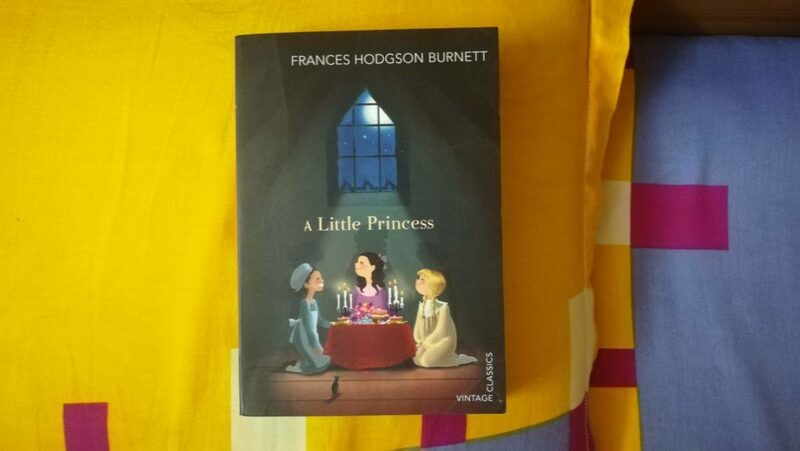 Reading ‘A Little Princess’ felt a bit like watching a well-loved movie. Even though I read most of this book in the dreary confines of a hospital, I felt grateful that Burnett was able to transport me to a world of innocence, fairy-dreams, fast friendships, and adorable characters that made me forget that mad world around me. With Sara Crewe, Burnett has created a character who is certainly different from most children you might meet. Quiet, dignified, and kind, Sara brings with her the ability to dream and pretend. That facility alone helps her to re-imagine her life differently each time. Throw in some real-life vicissitudes, and you are quickly hooked to this almost Dickens-like fable. So much so, that towards the end, I wanted to jump up and down in glee as Sara overcomes her troubles. No, I am not giving you spoilers. What else do you expect from a children’s book? Gloom and doom? Do give this to your child or better still, read it yourself. We all can do with some Sara in our lives. If you are a lover of literature, and a lover of books, then you can’t help but fall in love with this quirky old book. Featuring a bunch of eccentric and lovable characters, including the adorable Roger Mifflin, I found myself chuckling at the wild capers that all these characters go through in the book. Classics often get a bad rap as not being very ‘readable.’ But this one doesn’t fall into that category at all. It reads almost as fast as any thriller you might find in today’s contemporary fiction. The latter half of the book loses itself a bit in all the mystery and action, but let it not take away from the first half of the book, which was witty, amusing, and compelling. One of the books I read just before picking up ‘Bel-Ami’ was ‘Disarming the Narcissist.’ In the character of Georges Duroy, Maupassant has created almost the picture-perfect narcissist. Seldom have I read a book where I have so actively disliked the main character. Georges is the kind of man you might have been unlucky to meet – the one who makes his way up the ladder, through cunning, guile, intrigue, deception, manipulation, and exploitation. The kind of charmer that your Mom warns you about. The kind of man who seems to display a ruthless lack of emotion. The kind of man who you just dislike intensely and deeply. Can you imagine the skill of a writer who is able to create these kind of emotions in you? This was my first Maupassant book and even as I read more about the author’s own tragic life, I was consumed by the pages of this book itself. In the end, I was left feeling bitter – there is no ‘good triumphs over evil’ here. No. Georges gets what he wants. And you are left wondering too if maybe that is the way to be as well in life? Be selfish? Manipulative? Play the game? The 10-day Vipassana retreat I attended in 2016, and the few subsequent 3-day retreats since then changed my life. Not to say that I walk around with a halo. But that this meditation technique has helped me in countless ways since then. 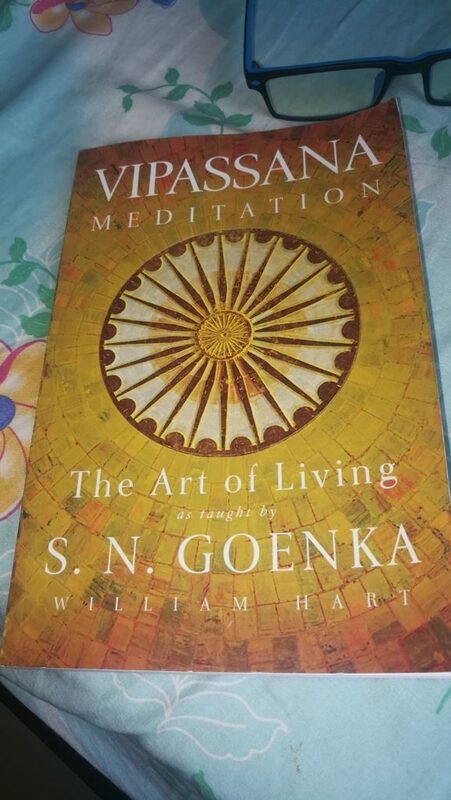 This simple book consolidates the teachings of SN Goenka that you might hear in the evening during a retreat. I confess that many times I was too tired to hear the recordings when they were played in the evening. Yes! 12-14 hours of meditation can be far more tiring than a 2-hour marathon! Trust me on this! Therefore, it was good to go back and refresh my mind with the essential teachings of Vipassana. Without this basic knowledge, I know that I would be doing little less but daydreaming instead of meditating! This was an interesting read written by a practicing therapist with special knowledge on dealing with narcissists. I found the beginning of the book offered a number of insights on the different kind of narcissists we meet in our life, including sometimes, in our own selves. The chapter on the different schemas that we inherit from childhood was particularly insightful, especially to someone like me who is forever intrigued by the paths our mind takes to reach its often chaotic and disjointed journey called the self. Towards the end of the book, Behary veers towards offering practical approaches to dealing with the self-absorbed’s tactics that often manifest in verbal outages, sarcasm, stonewalling or the silent treatment withdrawal. An interesting approach to dealing with often very difficult but also struggling people. If you are interested in meditation as I am, then Sakyong Mipham’s book is an incredible blessing to have as you continue on your meditation journey. Very often, even if you meditate every day, you find that you often get lost in the wily ways of the mind. Books like these serve as refreshing reminders on what really makes you hunker down and face up to that wild mind of ours. Although this is intended to be a beginner’s guide to starting a meditation practice, I would not advise this for those who have never meditated. Some of the practices he describes are for the more seasoned meditator. Brilliantly written with Pema Chodron, this is an essential companion. We live in a world where you if you say anything about a particular religion you are either branded a fundamentalist or a secularist. Support something in Islam – you become secular. Say something a little against Islam – you become branded right-wing and ‘communal’. 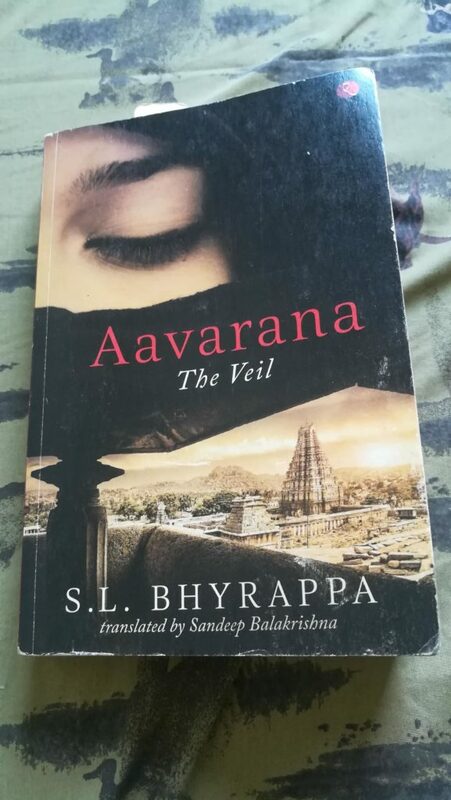 This is the world that SL Bhyrappa writes about in this historical novel that compels you to reexamine the history you have been taught from childhood. 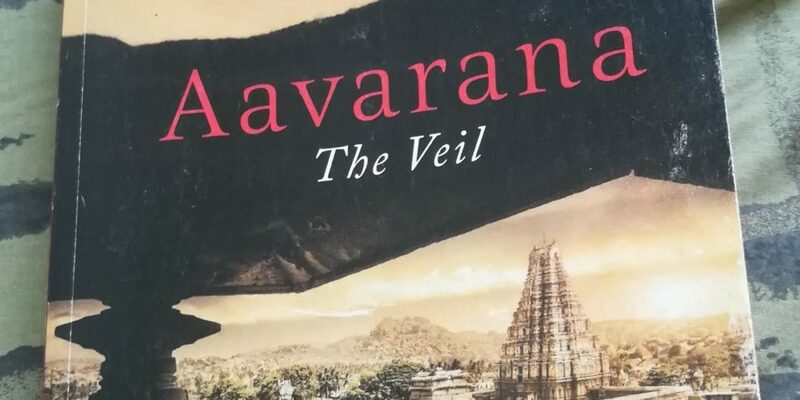 The characters here are merely mouthpieces for Bhyrappa to project his views on the difficulties of presenting history as what it was rather than what it has been twisted into. So, don’t expect to feel for any of the characters – they appear and go irregularly – but after you get past the initial bewilderment of what the novel is, you are presented with a wonderfully courageous writer whose views make you think. Not for nothing is this one of the most celebrated novels of our times. Thanks to my extremely knowledgeable friend (no sarcasm intended), I have started reading a lot more books from translated fiction, especially from Indian literature. I go around scouting bookshops for the latest translated works along with my friend, and we pick a few each time before deciding on the ones to add to our collection. ‘Barsa’ by Khadija Mumtaz drew me into an interesting portrayal of life for Malayali Indians in Saudi Arabia. I had earlier read one or two memoirs based on life in Saudi Arabia, but this was the first book that I was reading that threw more light on life in the holy cities of Mecca and Medina. The problem was that although I came back more enlightened about Islam and being a Muslim wife, I really wasn’t sure if that enlightenment served a purpose since I am not going to marry a Muslim any time soon. As a book that drew on characters for its foundation, I found the characters to be too weak, floating all around the surface of my vision. In the end, I was left wondering what it was all about. Was there any point in the dialogues on the attitudes of Islam towards women? What was the point of it all? Perhaps, as a denouement on that home is where your roots are, yes. But this is a rather weak cup of tea for me, no offense intended to the author’s brave effort. ““The Greek word for “return” is nostos. Algos means “suffering.” So nostalgia is the suffering caused by an un-appeased yearning to return.”” When you think about it, our nostalgia for the past is almost timeless. We yearn always for what was and pine for what is not. 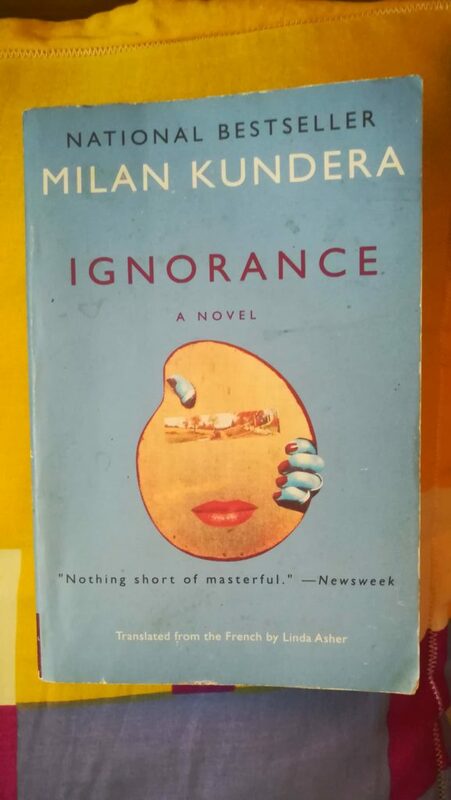 Milan Kundera’s ‘Ignorance’ takes you through this labyrinth of memories – the past that the immigrant has to battle with. Ever since I read ‘The Unbearable Lightness Of Being,’ I have been in awe of Kundera’s prose. He is, I feel, at his best when he is talking about relationships. The characters here are all loosely connected, but you still feel their loneliness and the disconnect that mars their understanding of each other. I can’t say I enjoyed the book all that much, but I am always curious about reading more about Kundera. Earlier this year, I read Shobha Rao’s riveting ‘Girls Burn Brighter.’ Now, many months later I feel like I have read her book all over again. The similarities in plot structure are striking, and the characters and the setting almost the same. It seems like ever since the success of ‘Slumdog Millionaire’ there is a rush for Indian books that all talk about the seedy underbelly and torn fabric of Indian society and culture. In ‘The Color Of Our Sky’ Amita Trasi once again points a finger at that crass belly of prostitution. 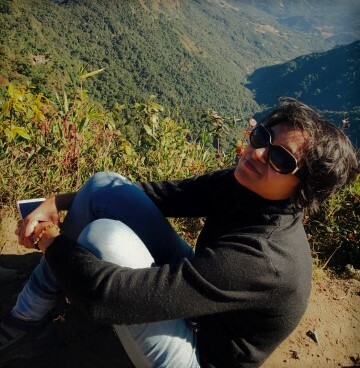 The book moves in a non-linear narrative, and tries to address too many things at once: the system of Devadasis, prostitution, sexual exploitation, poverty, the work of NGOs, friendship, family, and forgiveness. Phew. Take a deep breath. The result is that while the story moves along at a fast clip, the trite cliches come back to haunt you. There is no description of an India that is also modern. I am no patriot, but surely, is Mumbai all slums and squalor? Not for the first time do I wish that there is a bold Indian author who will write the Indian version of ‘Crazy Rich Asians.’ Meanwhile, let’s concentrate on child trafficking, the overwhelming stink, garbage, and stench of our cities, and the backward systems of Indian society. Must be easier to write about that when you are living in Houston, Texas.